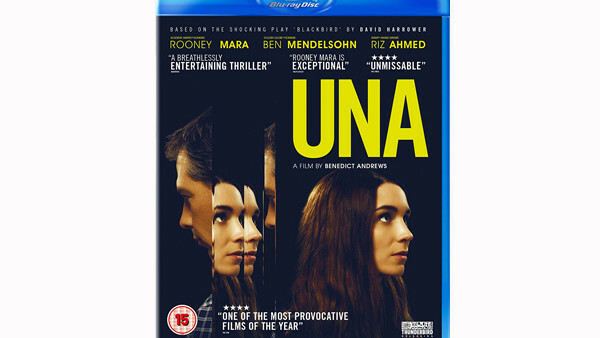 To celebrate the release of harrowing drama Una - starring Rooney Mara (Carol, The Girl With the Dragon Tattoo) and Emmy-nominated Ben Mendelsohn (Animal Kingdom, Starred Up, Star Wars: Rogue One) we have 3 copies of the film on Blu-Ray to give away. Based on David Harrower’s celebrated, Olivier Award-winning play Blackbird, Benedict Andrews’ Una follows the young woman’s journey to reclaim her past. Una is available on Digital now and DVD and Blu-ray 8th January.